Beaueteck Family Salon for hair and skincare at Coimbatore, takes pride in giving you the latest and the best in hairstyles and beauty treatments, creating the highest levels in style, sensibility and sophistication. 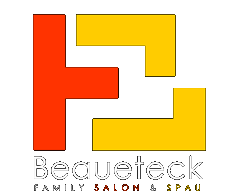 “Beaueteck” Beauty Salon offers a vast range of the latest beauty and grooming services in the field of Hair service and skin service. We offer a variety of exclusive treatments for skin and hair. The services are designed to help you to escape into a world of indulgence and beauty. In this high-pressure world, you need to be on the top of your game. You need to look good. You need to feel good. That’s where we come in. From our experienced staff to the quality products we use, Beaueteck Family Salon has been designed from the ground up with you in mind.